Sometimes I think that we give old poems too much importance simply because they have gotten popular over time. We should consider the fact that most writers writing something quite extraordinary, in other words, a word that is out of the norm and not ordinary might just be having a fit of anger or hillucinations when they were writing something that we now think is quite inspirational. I think Coleridge had a really twisted mind and could have been crazy as well to imagine such things as he did in the poem 'Ancient Mariner'. A mariner having to tell a story to any apointed man he sees otherwise he will feel a huge burden over his soul that he cannot encumber at all? Spirits coming from water into the bodies of dead crew and sailing the ship? Huge bird, the Albatross attacking and eating all what they had and the Mariner killing it then feeling guilty for it? The whole thing shows how twisted his mind was once he was writing this poem. Probably he was disturbed to such extent that he could not fathom that life had something sweet or charming about it. That's why he had to spoil a good occasion like the marriage party those three young men were walking to and simply tell them the most horrific story he could come up with. Leaving the man who actually heard the story sad and desolate for his life. This also shows that Coleridge must have been suffering from mental delusions and was not able to concentrate on good things of his life for much long. Mariner first finds all the creatures of the sea ugly and wants to kills the Albatross as well, which is in reality probably a very beautiful bird. Then he learns to appreciate all the beauty of those creatures later on once everyone on the ship dies and he has to confess for the first time all what he has been through to the Hermit. I think that was not the original theme of the poem. He introduced this idea later on to make the readers acknowledge the beauty and appreciation of the creatures of God. This was a second thought that must have come to the poet's mind after he had written a scary and sick piece of work. He wanted public appreciation of it as well that’s why later must have changed some lines. The real theme that comes to my mind from this poem is that Coleridge thought that life was not worth living, people were always alone in life and they had no partners. We can relate these deep routed feelings with his life as well. 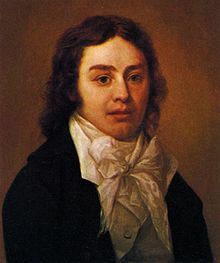 Coleridge in his childhood was sent to a school where he was mostly alone and had to face harsh and strict environment where his teacher made him read all kinds of poetry as punishment. He was rarely allowed to come back home and meet his family which can leave damaging affects on a child’s heart and mind. His marriage wasn’t that successful which left him alone and loathing in the end. 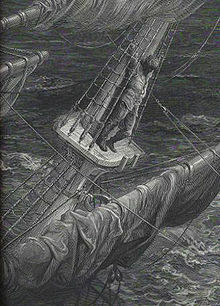 Considering all that I think ‘The Rime of the Ancient Mariner’ is not a great work of art but ramblings of a person who was suffering deep inside with no hope and love for this life. He needed help that’s why he had to stop people right in their tracks to talk to them in his poems and tell them stories of no hope and desolation. Pakistan won the Asia Cup Final .. by mistake!